We have a full range of services and activities for all the family at St Gabriel’s. 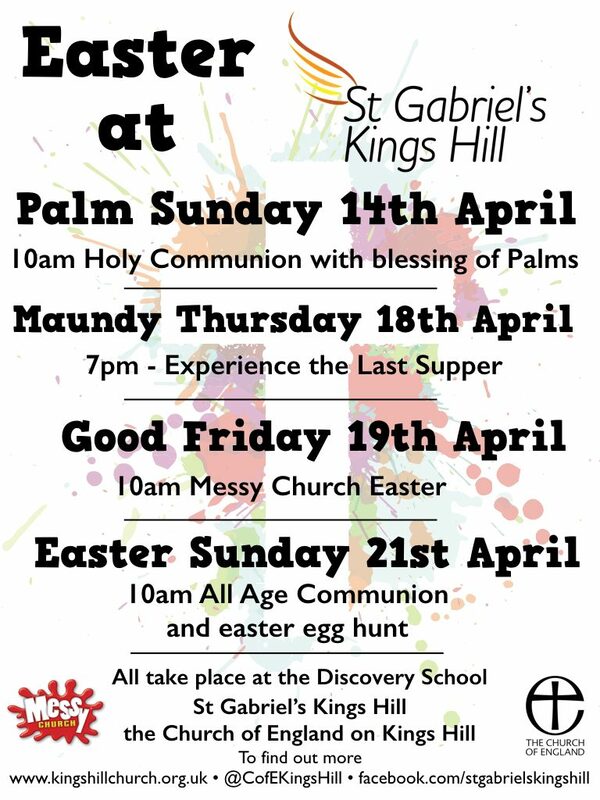 It starts on Sunday 14th April, with a celebration of Palm Sunday, with Palm Crosses and a joyous celebration. Our Good Friday morning service is our Messy Church Easter Celebration, with lots of crafts, activities, worship and a meal together. Again you can let us know you are coming by clicking here. Easter Sunday is one of our highlights of the year, lots of celebrations, joy, and even an Easter Egg hunt after the service, no need to let us know, just turn up and enjoy!